We are a family owned business gone back to our roots. After 25 years in the new vehicle business we decided to sell and use our experience running successful new vehicle franchise’s to open a full-service preowned dealership. Preowned Autos have always been a large part of our business so having bought, reconditioned and sold thousands of vehicles we have the experience to service our customer’s needs. 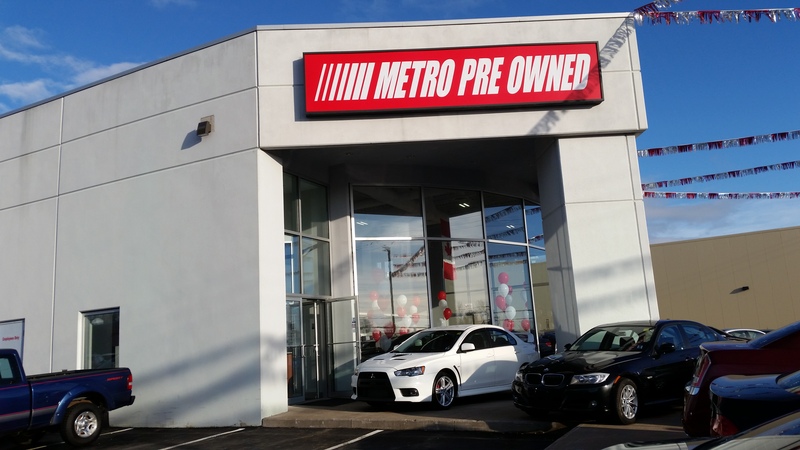 Buy Metro Preowned Auto Sales provides a large inventory of quality preowned vehicles plus a full service and parts department catering to all makes. Our dealership is housed in a modern facility with all the latest equipment and experienced staff to ensure we meet our customer’s expectations. With over 25 years in financing we can offer the best terms and provide “Financing for Everyone”!